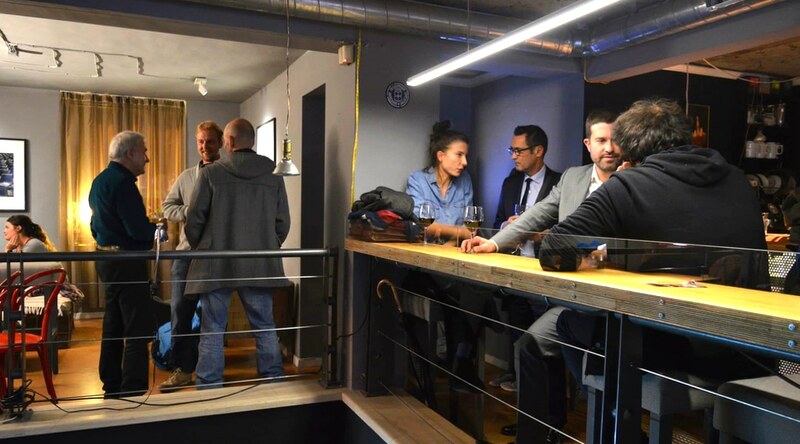 Do you want to meet new people having a good time in a friendly place in Varna afterwork ? The Café Polyglotte event is probably one of these local rendezvous not to be missed and we tell you more about it in our new article. To be honest, after our busy days, we are never always super enthusiastic about going out in the early evening, even to meet new friendly people and taste good local wines. In addition, yesterday on Varna, it was really cold. Come on, “really” is not enough. But we needed more to discourage us to attend the 52nd edition of the Café Polyglotte, organized by Francophone Center of Varna. Regularly invited to events in Varna by Morgane, one of the coolest and friendliest french girls that counts the active team organizing this event, the 52th “Café Polyglotte” was yesterday a very nice occasion to make a break in a very nice and artistic atmosphere. Organized at the Contemporary Space Gallery in the center of Varna – a contemporary Bulgarian art space, social place and cultural shelter founded in 2012 – that we discovered for the first time (True, we are unforgivable), people enjoyed a drink at the bar talking about different topics as interesting as each other, when others discovered together the different artistic works a floor bellow, both floors in a large open space. The Café Polyglotte monthly event is also a good opportunity to practice the languages ​​we like with multi languages people from Bulgaria but also all over Europe. We met Jean a German medical student living in Varna since 4 years, fluent in Bulgarian, French and English; Sabrina, a young and dynamic business women from Lyon in France coming to Varna to launch her first French Pastry shop (opening in December). And many other interesting people. An enjoying moment to renew as soon as possible. Which we particularly liked : The organizers welcomed us very well and introduced us to the other guests / You come alone and leave with many friends – The people are cool ! / The possibility to speak some others languages / The space super design, cozy and comfortable, good music (the place changes every month – Facebook). More about the Contemporary Space Gallery : The centre’s goal is to grant a stage to contemporary Bulgarian and foreign artists, to create different workshop and educational platforms for musical and visual arts aiming the development of cultural environment. By organizing exhibitions, lectures, presentations, educational courses and discussions / Webiste.